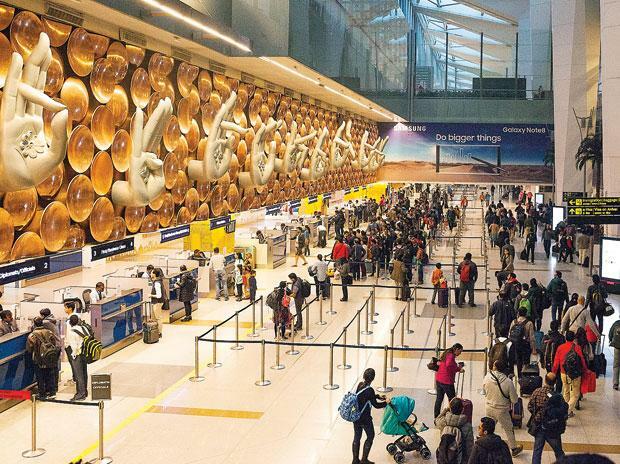 The Indira Gandhi International Airport (IGI) in Delhi could overtake London's Heathrow airport in traffic volume by 2020 financial year, a Sydney-based aviation research body has said. In its latest report, the Centre for Asia Pacific Aviation (CAPA) India said that IGI airport, which handled 65.7 million passengers in the 2017-18 fiscal, is likely to cross 80 million passengers by 2019-20. "India's largest airport, Delhi, which handled 65.7 million passengers in FY2018, is likely to cross 80 million passengers in FY2020, which would see it approach or even overtake London Heathrow in traffic volumes," the report said. Talking about the overall growth of airports in the country, the CAPA report said that during the 2017-18 fiscal, India's airports handled 309 million passengers, which was 16.5 per cent rise year-on-year. "That would mean that India's airport system will handle 50 million incremental passengers this year, which is more than all of India's airports handled in total in financial year 2004," the report said.